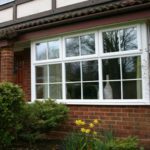 Triple Glazing is the very latest innovation within the replacement window sector and the combination of 3 panes of thermally efficient glass, alongside the proven technologies of gas filling, allows vastly improved thermal ratings and sound reduction. 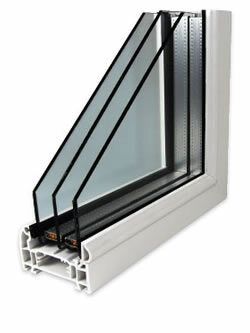 Using the well known market leading & Swish 24-7' brand of products, the system features a 44mm sealed unit, which is over 50% bigger in size than a typical double glazed product and precise calculations show that the window system is able to arrive at a thermal efficiency indicator U Value of 0.8 versus double glazed equivalents at 1.4. 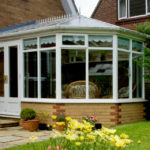 U Value's of less than 1 will be required in the coming years, as the government increases its drive for low carbon emissions and this product will place your property ahead of future building regulations and alongside some of the most energy efficient products found across mainland Europe. 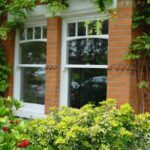 Whilst ticking all of the necessary boxes in terms of keeping your home both warm and quiet, DGL Triple Glazed Windows are also visually attractive and use the stunning Swish window and door system, with an elegant and subtle fully sculptured shape to the window both internally and externally. 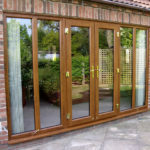 Truly there is no compromise with this product and it combines thermal efficiency with improved acoustics alongside a visually attractive window and door system. 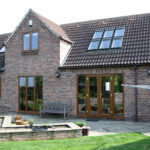 No compromise in terms of looks as the same stunning fully sculptured window suite is used. 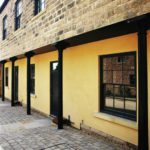 Available in a wide range of colour finishes from a smooth gloss white pvcu through to a wide range of timber and aluminium alternative coloured grained foils.